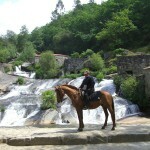 Reaching Santiago by horse is the “promised trip”, is the first and most important European cultural route, where the reasons for coming are still alive after more than a thousand years. 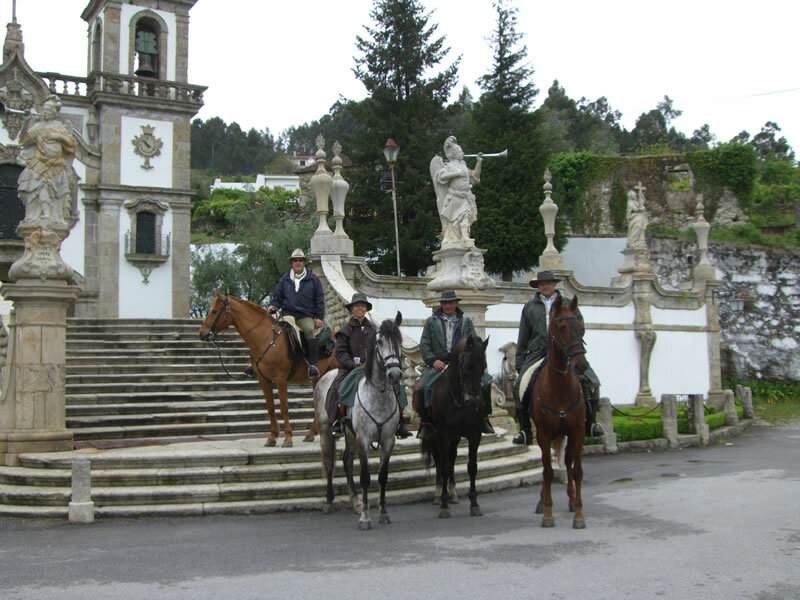 As pilgrims on horseback, will be protagonists, for a few days, of the living history of an ancient route where will live new sensations. 1º Day. 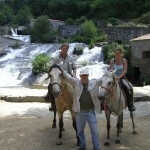 The meeting point is in arrivals section of the Vigo airport at 15h. 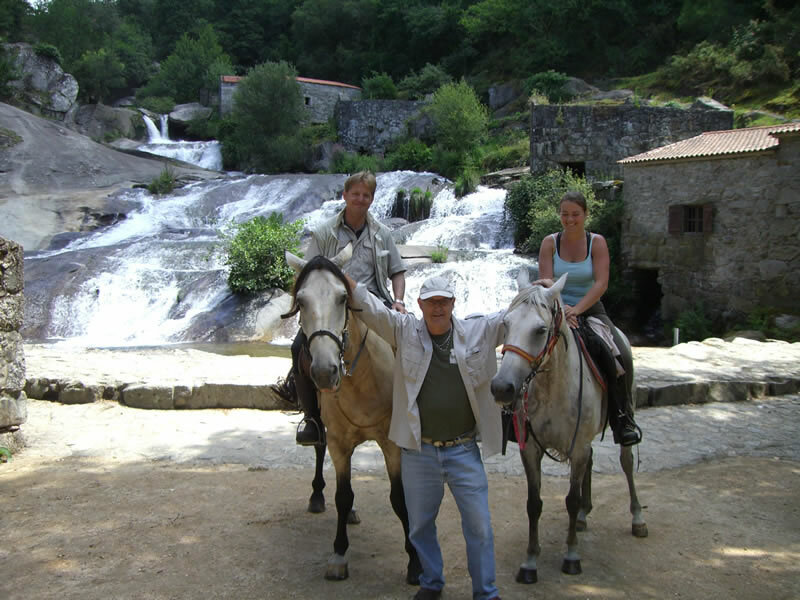 To then move by car to Porto where we visit a winery, Porto, near the Douro River and the some of the point of interest of the beautiful city. From there we will travel to Barcelos and visit the beautiful Benedictine convent converted into a home or Habitação Quinta Tourism, there we will have dinner and sleep in it. 2º Day. 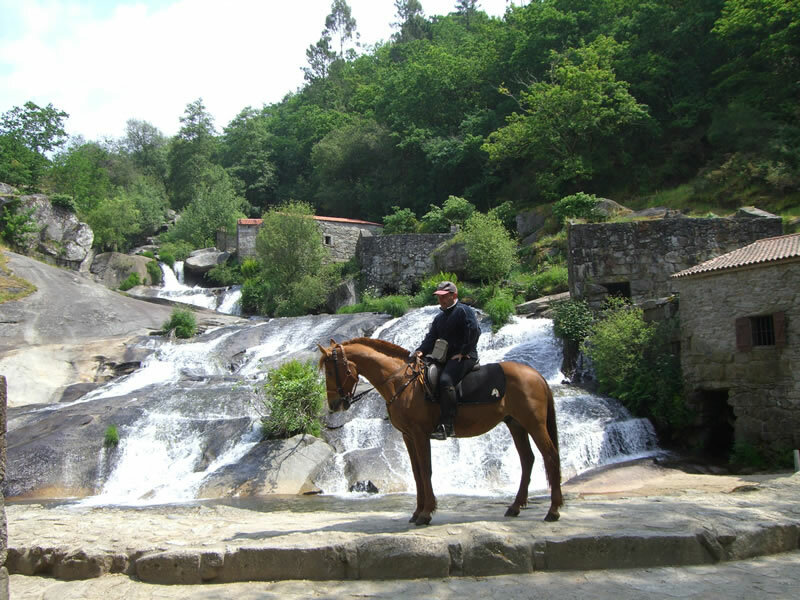 Pereira (Barcelos) – Albergaría (Facha) Albergaria is a village which is located 12 km before Ponte de Lima, this day we will ride about 30 km and sleep in a rural house called Quinta da Albergaria, located in the village of Facha. 3º Day. 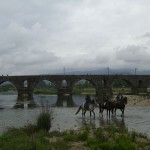 This is a transitional stage of 16-20 km, where we cross the oldest medieval town of Portugal, called Ponte de Lima, to reach Calheiros where we will have dinner, spend the night and enjoy of the Palace of a Count. 4º Day. 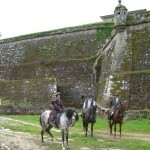 After breakfast we will cross the Sierra de Labruja, we heard towards to the fortified population of Valenca, finalizing a few meters from the border with Spain, conquering in a legal and spoiled way this historic fortification. We will visit Tui wich is in the Galician region, will see building build with historic stone, religious and civil, located around the Cathedral. 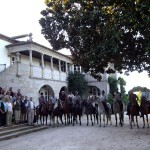 Dinner and overnight at the Parador de Valenca do Minho. Overnight between the walls of a thirteenth century city. 5º Day. 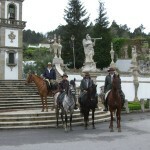 The fith day we left for Ponte Caldelas. Prior border the beautiful Vigo estuary with the unforgettable panorama of mussel rafts, St. Simon Island, the modern bridge of Rande … then Arcade will be crossed. This village is known for its exquisite oysters. 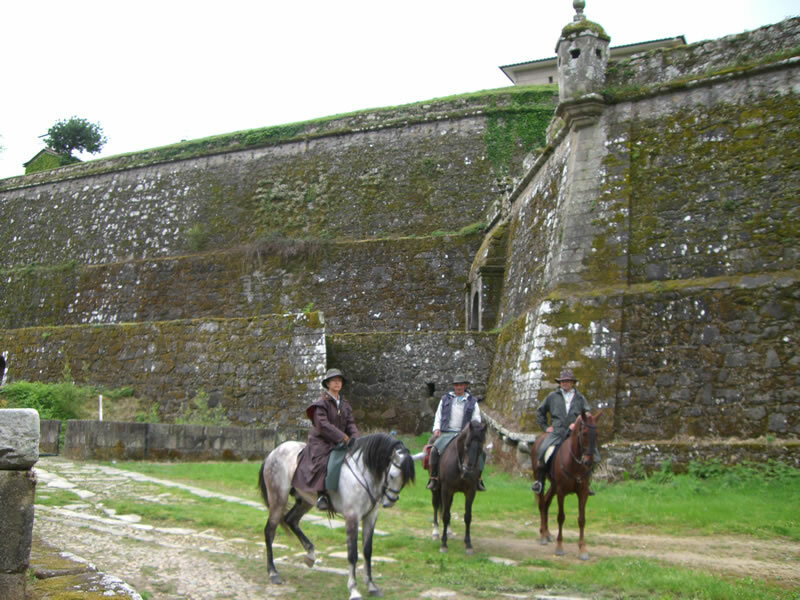 After it will reach to Pontevedra, the old “Ad Pontes Duos”, after Compostela, this is the best monumental preserved city of Galicia. 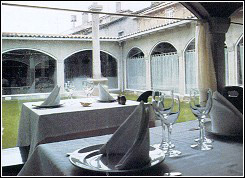 Farm Accommodation in Rural Tourism house “O Castelo”. 6º Day. 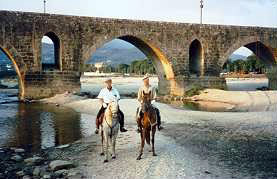 From Ponte Caldelas, saving the river Ulla we will arrive to Pontecesures, where we will sleep. 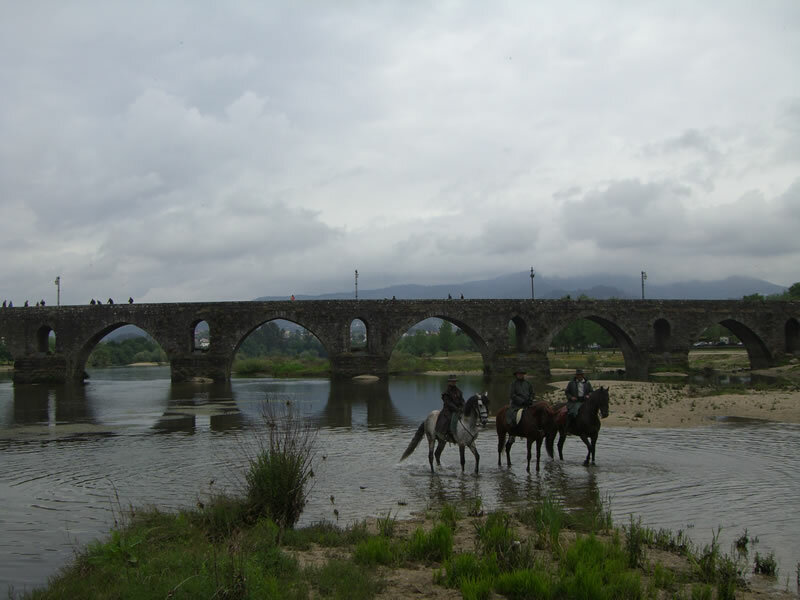 In its surroundings, is Iria, a Roman settlement and bishopric before Santiago. 7 º – 8 º Days. 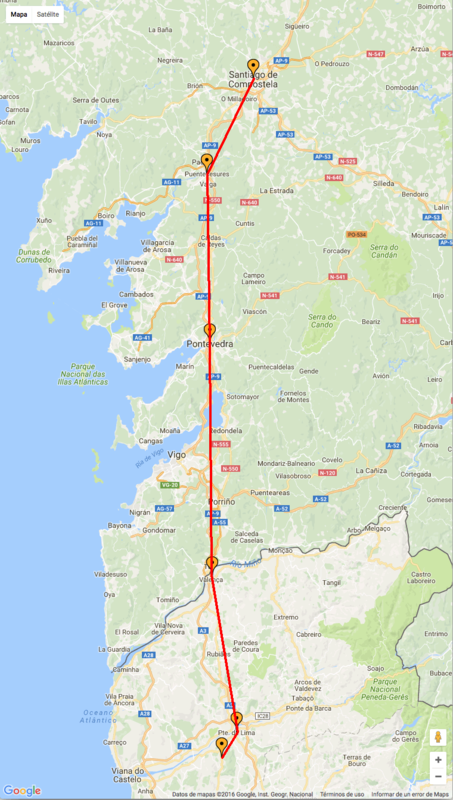 After breakfast, we go to Padrón, continuing our route along the green Galician countryside, and approaching the awaited final. 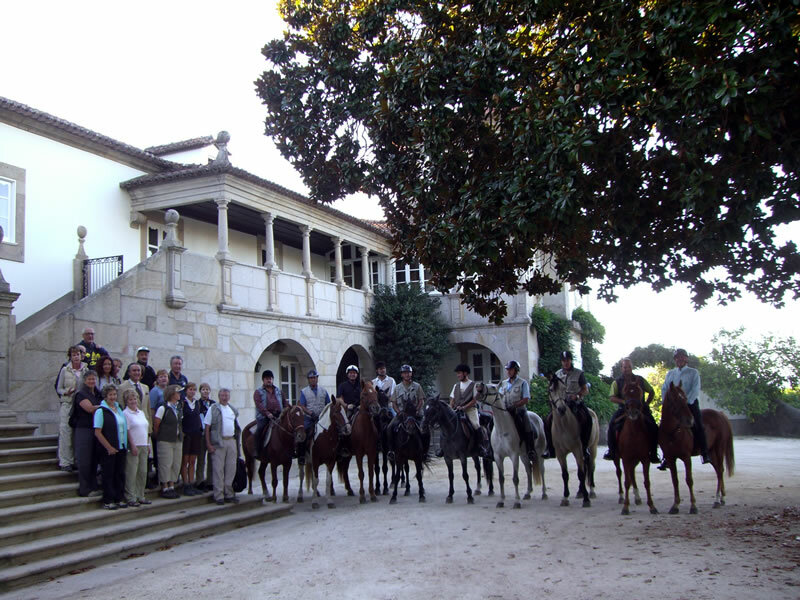 Arrive on horseback to Brion – Los Angeles, very close to Santiago, where we have lunch in the cozy and rustic Pousada Rosalia. About 16:00 pm. We move by cars to Obradoiro Square in the Cathedral of Santiago. From there, free time for riders to manage pilgrims as they wish. 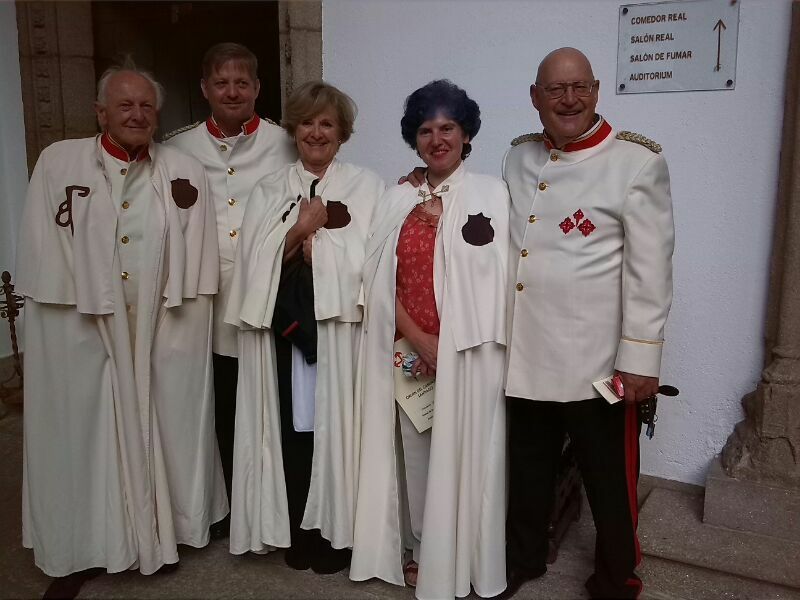 The 7th night is included in a hotel in Santiago or in our tourist house O Castelo and the 8th day in the morning after breakfast, end of our services.